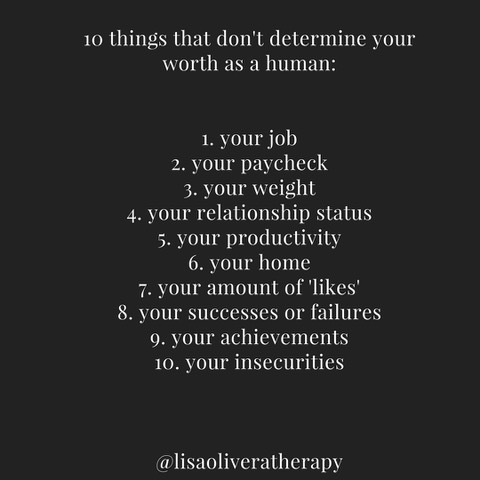 Lisa is a a licensed marriage and family therapist. She supports people in the journey to accept who they are, and helps them navigate through self doubt, fear, and anxiety. We fist came across and fell in love with Lisa when she took Cleo Wade's book "Heart Talk" ripped out the pages lined with beautiful words and spread them across windshields for total strangers to find. If you're looking for a safe peaceful place to feel centered then Lisa is your girl. What is the story of how you became a therapist? I knew I wanted to be a therapist early on. Because of this, I pursued a Psychology degree in undergraduate school. My initial work in the mental health field was at a group home for female adolescent foster youth, which gave me such invaluable experiences and validated my decision to become a therapist. I applied to graduate school and it took me to where I am today! My own experiences in therapy started as a teen. Therapy was the first place I felt like I could speak my truth in. It’s where I gained understanding of why I felt a certain way and how my experiences shaped who I was. My own struggle with depression led me to develop a deep sense of gratitude for all the people who supported me through it, and I knew I wanted to become that person for others experiencing similar hardships. The meaning I get from this work is immeasurable, and being a witness to the stories and experiences of others is such a gift that I’m grateful for every day. My clients are my heroes. Most valuable mistake you’ve learned from while starting your own business? I am still building my business as I write this, and I think the most valuable mistake I’ve made so far is listening to self-doubt more than self-assuredness. Self-doubt can often cause us to become paralyzed when it comes to taking action steps, and I’ve noticed that when I pay attention to self-doubt but choose to forge ahead anyway, I get a lot more done and move closer to where I want to be in my business and life. The most rewarding aspect of being a therapist is witnessing the growth and positive change that happens within my clients and in their lives. I’ve seen some pretty incredible and inspiring transformations, have witnessed countless breakthroughs, have experienced deep inner growth, and have been lucky enough to be a part of some of the most brave and courageous human’s lives. It isn’t always easy to witness the depth of pain and trauma some of my clients have experienced, but seeing them become more of who they are and watching them develop the tools and self-compassion to move through life with more ease has been life-changing not only for them, but for me, as well. I am so humbled every time I sit across from a client, and it is sacred work that I never take lightly. One of my former supervisors told me to stop waiting until I was ready to do or try something new. This advice is something I’ve carried with me ever since, and something I turn to when I start feeling afraid or hesitant. Almost everything good in my life has come from me pushing out of my comfort zone, feeling fear, and doing it anyway. I truly believe we can do so much more than we might think we can if we just trust ourselves a little bit more, and allow ourselves to try what our hearts are called to even before we feel ready. What would you tell someone who is interested or contemplating seeing a therapist? It’s incredibly brave to practice vulnerability with a stranger. It’s even more brave to truly look at yourself and recognize the need for support (which we ALL need). I believe therapy is for everyone, and we don’t need to wait until we are in crisis to take care of our mental and emotional health. Therapy can be truly trans-formative, and being heard and seen by someone is one of the most powerful and healing experiences we can have. I think everyone should have a therapist! This can vary from woman to woman, but I think a general struggle that can happen with many women is the act of people-pleasing. This happens for so many reasons, but I think women especially are conditioned to try an due likable and make sure everyone around them is happy, which often causes us to silence our own voices and have weak boundaries out of fear of disappointing or upsetting others. I see it so often with clients and friends alike, and it’s something that takes a lot of courage and self-awareness to notice and shift. My clients. People who continue to show up in their life, even when it feels challenging or scary. People who choose to contribute more than they criticize. Sunsets. Being in the forest. Conversations with strangers. Noticing the little miracles that exist everywhere around us. My partner. Anyone who practices courage in any shape or form. Mothers. My cats. I honestly feel inspired by almost everyone I meet in some way, because we all have a unique story that always has something to teach others when we slow down enough and choose to pay attention. Success to me is living a life on the outside that matches what’s on the inside. It’s living with integrity and authenticity. It’s listening to ourselves and our own needs/desires/feelings instead of being dictated by others. Success is creating our own definition of meaning and living in a way that honors the meaning we create. It’s showing up for the hard stuff and holding space for the good stuff at the same time. Success is what happens when we allow ourselves to be who we are, which looks different for everyone. I don’t think there is one definition of success, but endless definitions that we come to understand and believe based on our unique life experiences. I think we can each feel successful in different ways, which is incredibly hopeful to me. Biggest misconception about your profession? That therapists have all the answers, have it all figured out, and are advice-givers! People often forget that therapists are humans too, with our own challenges and hardships and “stuff”. I try to talk about this often in my writing and in sharing with others, because I’ve found that when therapists are more relatable, therapy feels less scary. A strong woman is a woman who isn’t afraid to be imperfect, and still knows she is worthy of love, joy, and belonging in this world. A strong woman is a woman who doesn’t rely on others to make her happy, but allows others to. A strong woman is a woman who is able to ask for help without feeling weak or less than. A strong woman is a woman who sees the strength and beauty in others without diminishing her own. A strong woman is a woman who allows herself to be truly seen in moments of struggle and in moments of joy. Brene Brown. She’s my favorite person I’ve never actually met! I am a strong woman because I recognize the strength in being vulnerable, speaking my truth, and showing up imperfectly, even when I am afraid. I want to BE a lifelong learner, a continued advocate for empathy, and a holder of space for hope and healing. I’m not a Mother, but the advice I give to myself when I become one is this: practice self-compassion and know you’re doing enough, even when it doesn’t feel like it.